I help companies define, design, and deliver the right product for the customer. 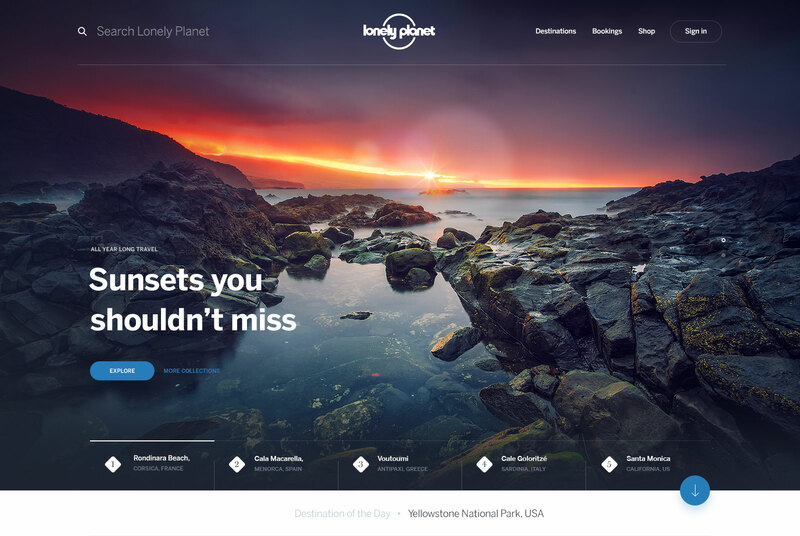 Lonely Planet helps people experience the world around them. I led the product design team and was responsible for the digital road map. 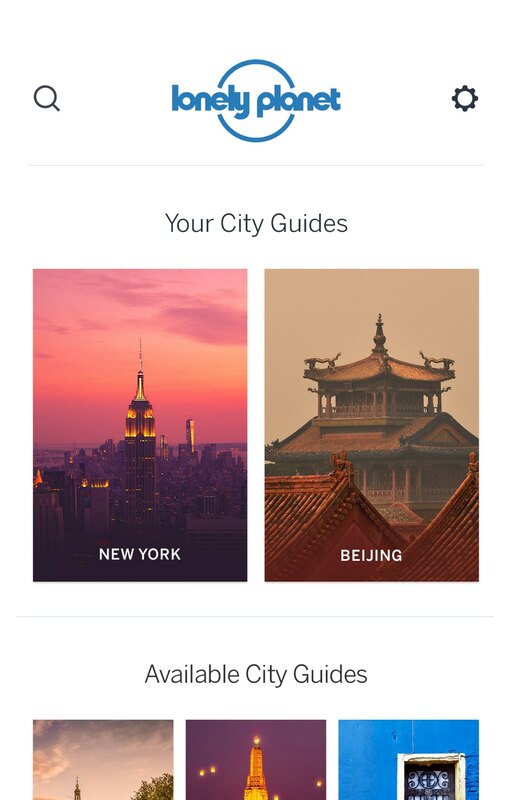 We launched a new LonelyPlanet.com and two mobile apps: Guides and Trips (iOS, Android). The continent page highlights the best of the destination. 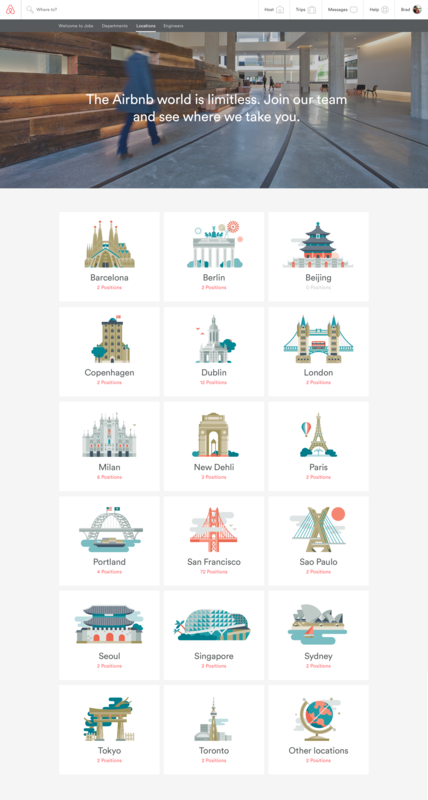 We started by designing different templates for continents, countries, and cities that present helpful travel information in a beautifully organized way. These designs set the new visual direction for everything we would deliver in the future. The city page houses a wide range of useful content. 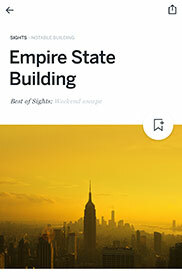 The homepage needed to do a better job of surfacing the best Lonely Planet content. To accomplish that, we designed a modular layout that could adapt to a variety of content needs at a moment's notice. 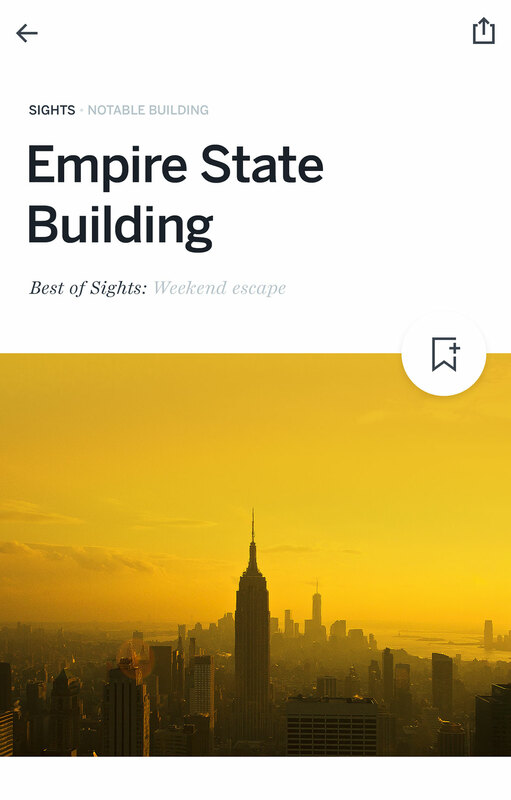 The feature area on the homepage surfaces editorial as well as destination content. 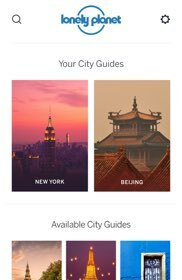 We designed Guides by Lonely Planet to help travelers make informed decisions on how to best spend their time when traveling abroad. Featured on Apple's App Store and on Google Play. 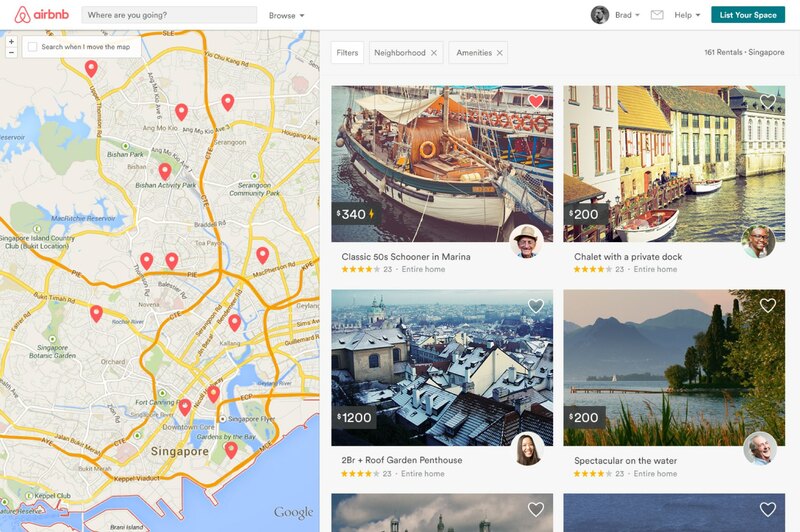 Airbnb enables people around the world to rent their homes to travelers. As a product designer, I was one of a handful on the core design team that helped redesign the app experience. Our team was responsible for extending the new brand identity to the digital products. My time was spent designing the search results, property cards, career section, landing pages, and the design system. A company can only grow as fast as it can hire. To make sure Airbnb was presenting itself in the best light, I designed a new career section that placed an emphasis on brand and culture. 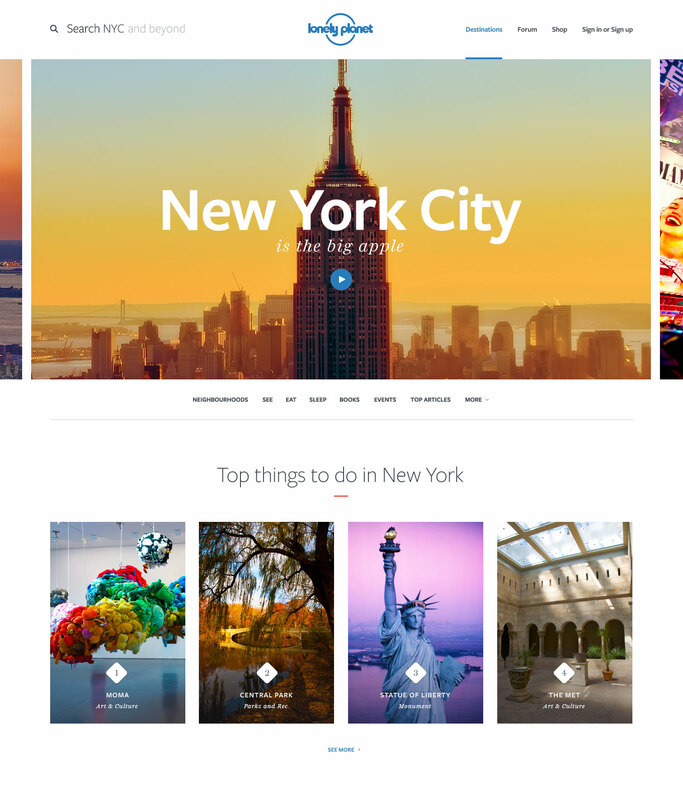 Over the years Airbnb had launched dozens of landing pages for various marketing campaigns. 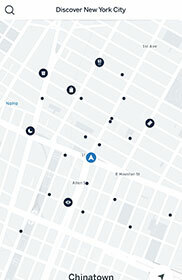 I redesigned the lot of them to ensure consistency across all the brand touchpoints. 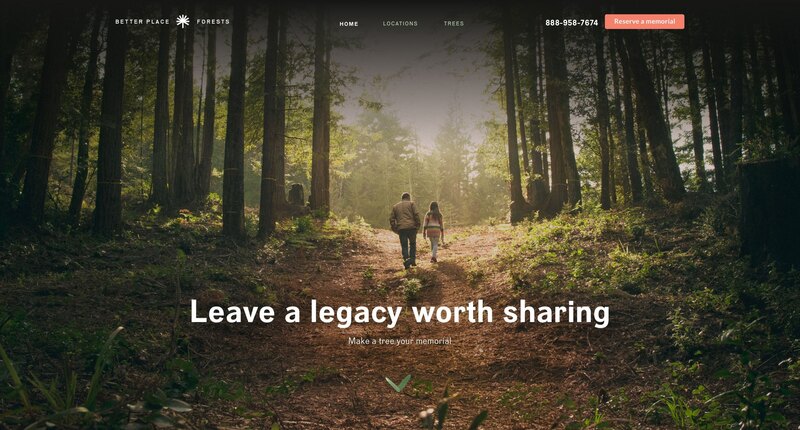 Better Place Forests is creating a more beautiful way to remember loved ones, while also preserving forests around the country. As design director, I pulled together a multi-disciplinary team and led strategy and design. 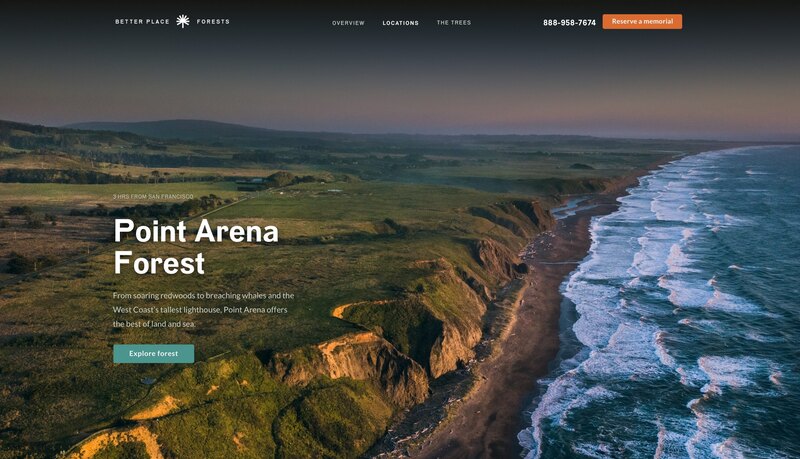 We organized the redesign into several sprints that included branding, photography, a dozen features or sections of the site, and design guidelines that could be used to extend the experience after the engagement was complete. 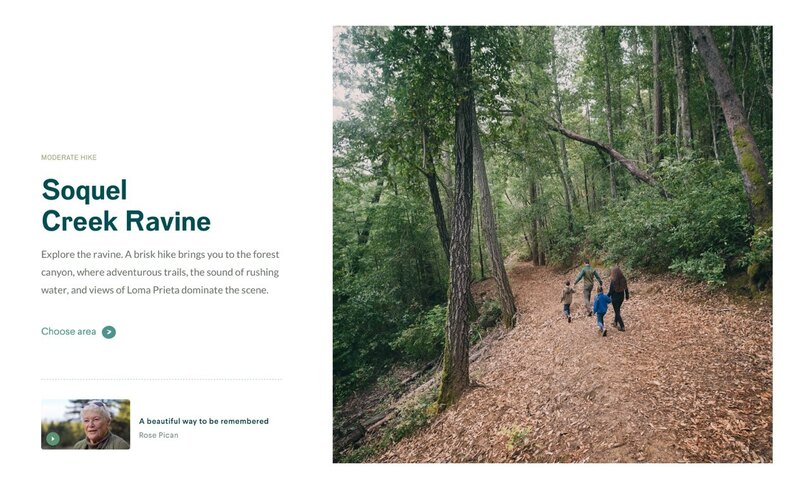 Many people have a hard time traveling to the forest, so we wanted to replicate the onsite experience online. To make that a reality, we visited each of the locations to capture the stunning photography that we used throughout the website and collateral. 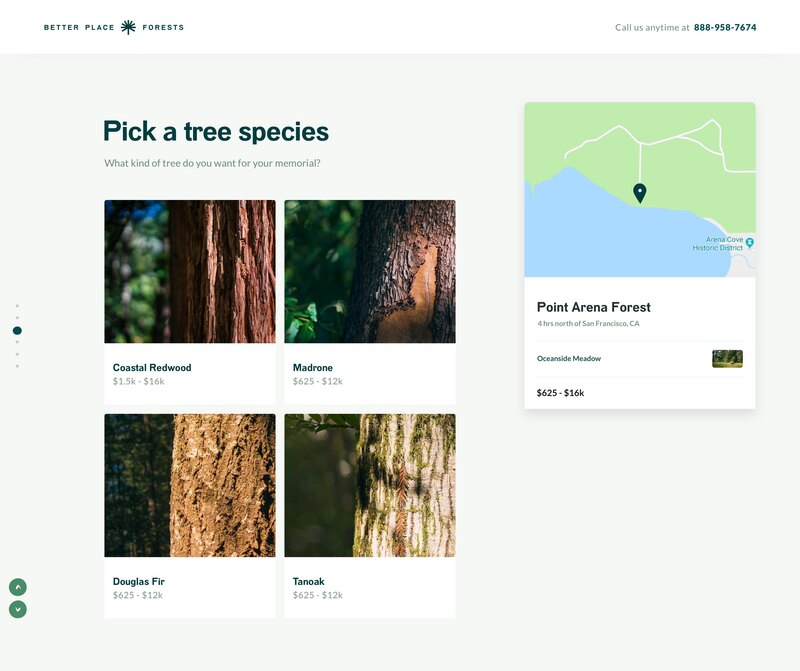 We designed a tree selector that allows visitors to select the preferred location, area, and tree species for their memorial. We spent time crafting the right language that communicated clearly what the service is about, while still being respectful of sensitive subject matter. I offer the most value to companies looking for digital product and design direction. I respond to all serious inquiries. I'm also happy to do a quick phone call or video conference if the need arises. Help support teams resolve customer issues. Provide guidance around product, design, and hiring. Provide guidance around product development best practices. 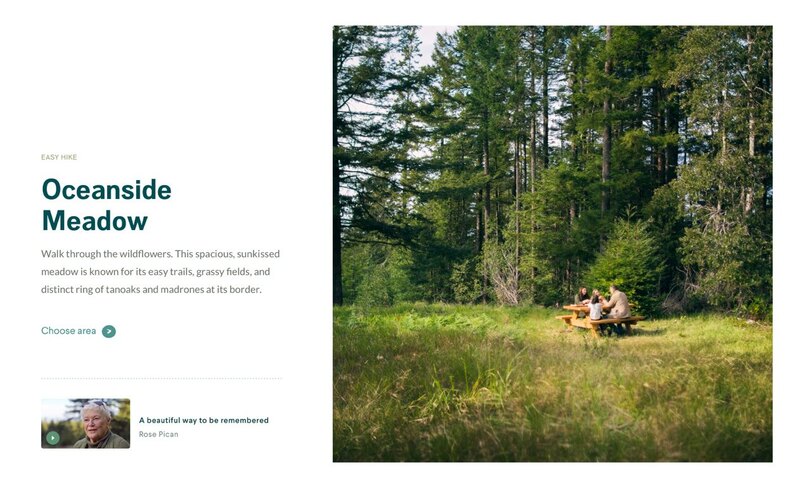 Bring the redwood forest experience into people's homes. I don't know if I'll ever be able to show this one, which is a shame really. Craft an identity for a new venture capital company. Create a new brand and web presence for the engineering organization. Create a flexible knowledge repository to house resources for engineers. Redesign the first eight minutes of Feedly. Help people share their travel stories using the photos on their phone. Make it easier for people to share their stories and ideas online. Create the Lightning design system in parallel with a new flagship mobile app. Encourage healthy behavior change for people through digital coaching. Spotlight the variety of exhibitions at the Nashville museum. 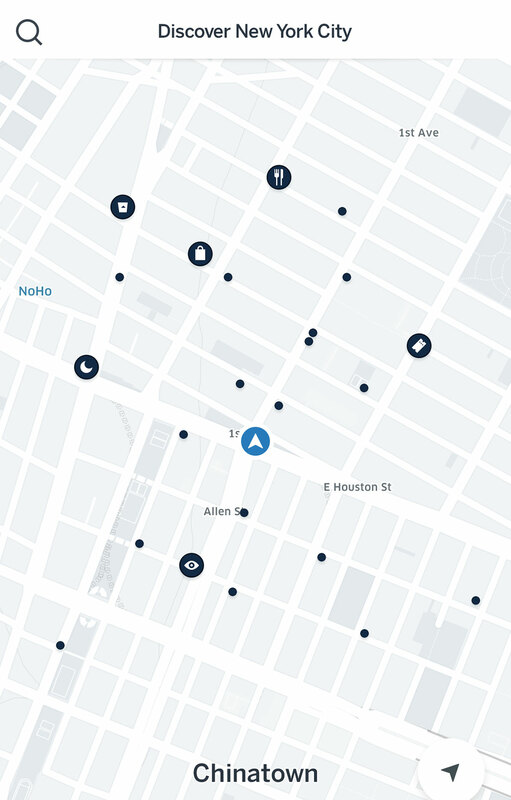 Help patients and visitors find doctors and get around the hospital with ease. Redesign the website with an emphasis on driving new business. 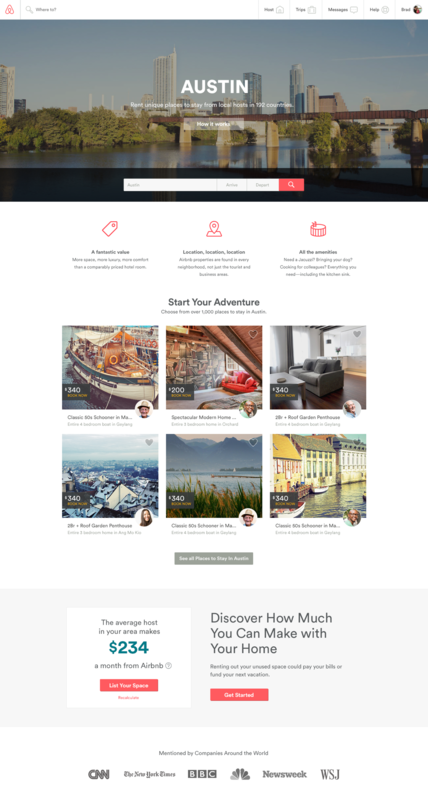 Drive new sales through a series of targeted landing pages.